We service all of New Hampshire (NH) and Massachusetts (MA) with Garage Flooring Services. We have a large selection of Colors, Patterns, and Textures. We have been servicing the New England area with Garage Flooring service for over thirty years. We provide Free Estimates! Give Us a call for your next concrete project! We have the best garage floor coatings available on the market that may transform your garage floor into a Beautiful space you will want to hangout in for long periods of time. Epoxy resurfacing of concrete flooring is used to update or improve concrete flooring surfaces in commercial and residential applications. 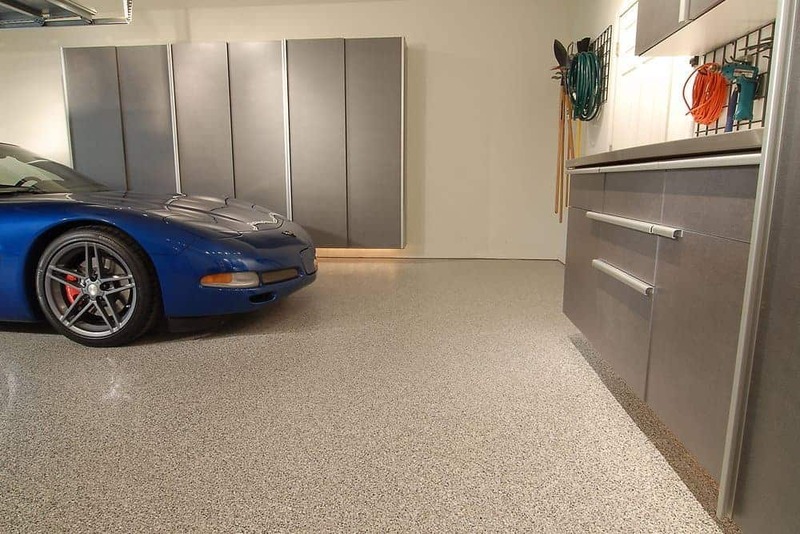 Garage floor coatings and coverings should not be considered as a way of Placing destroyed slabs within an “outside of sight, out of thoughts” affliction. Although the others may well appear good on the area, fragile filler elements compacted together inside of vinyl flooring essentially decrease product or service longevity. Completely transform your unfinished, dusty garage floor, right into a clear and durable floor. We are the professionals in garage flooring, our team has transformed garages into wonderful, effective spaces using premium quality industrial quality garage products. The significant range of solids inside our epoxy, in contrast to large areas of surface grinding present in other alternatives, causes it to be adhere better to concrete and stops from peeling. This produces a seamless appearance and you won’t have to touch for years to come.